Do You Need a Property Management Company for Your Rental? Every landlord or property owner in Bozeman understands the need for Bozeman property management. Owning rental property not only gives you amazing passive income (depending on the location and the kind of property you own), but it also offers you the much appreciated opportunity to improve your portfolio by being invested in real estate. These kinds of holdings, despite the recent figures and trends, tend to appreciate with time. But as with everything good, there is a downside; a price that must be paid in the end. And for property owners, that price is property management. This can be such a hassle if you choose to do it yourself. The kind of care and maintenance involved is extremely time consuming and highly exhausting. It is quite capable of taking up all the time you have. That is why many savvy landlords hire qualified property management professionals to handle their rental property or Montana apartment. You scoured websites and directories about apartments for rent in Bozeman and you finally found one that is just perfectly you. Whether it is one of the apartments for rent near downtown or the various other apartments in Bozeman, your new home is waiting for you. Now is the time to start preparing to move. And what a chore that can be. Apartment hunting is sometimes a frustrating job, but unfortunately, you need to do it. Here at Bridger Property Management, we have apartments for rent in Bozeman near MSU, and we can help you find the perfect place to call home. However, in the thrill of finding the perfect apartment out of all of the available apartment rentals, you might forget some important things you want to ask and clarify with your new landlord. What is Included in Your Apartments Near MSU? Several seasons ago, Sheldon Cooper (Big Bang Theory) decided to move to Bozeman, Montana after his apartment was broken into. 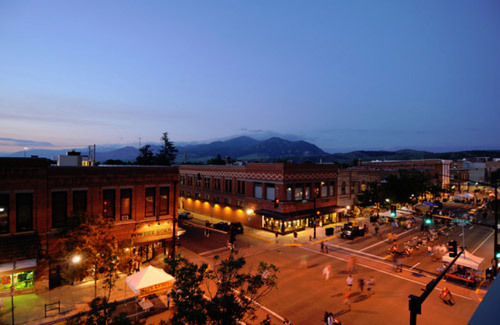 A wise choice, considering that as a college town (home to Montana State University), it manages to combine rural life with the amenities of a big city. If you make like Sheldon and decide to settle here, you will definitely need to find rental apartments. To paraphrase a popular saying, not all Bozeman apartments were created equal. So how do you find the perfect one for you? It would be time consuming to look at all the available apartments for rent in Bozeman, Mt. without a plan of action. While it’s nowhere as large as most major cities, it’s still a city. Before you even start looking at listings, write down what you are looking for in an apartment. Is location an issue for you? How big or small do you want your place to be? Do you need a parking space? Or would rather have plenty of closet space? Do you have a pet? How much are you willing to pay? List down what you consider as non-negotiable, and then proceed from there.